Unusual or interesting sounding effects always interest me. 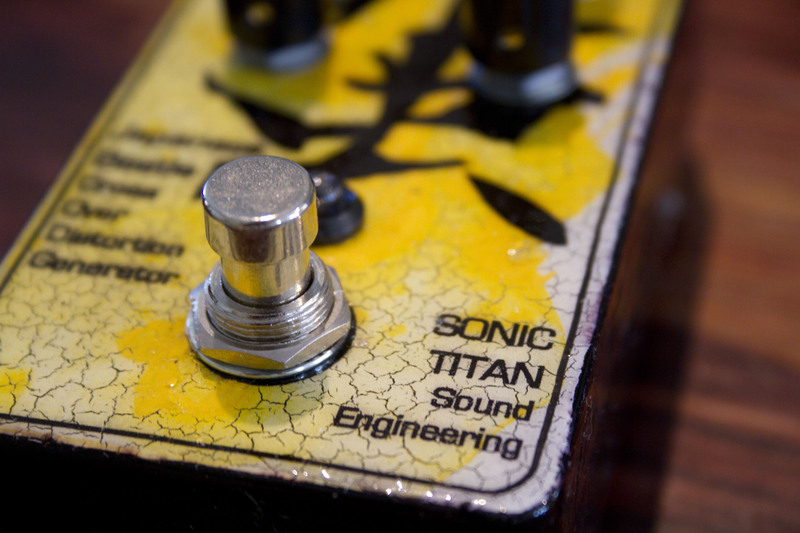 A tube screamer is a tube screamer regardless of the vast array of boutiquey iterations and modifications. 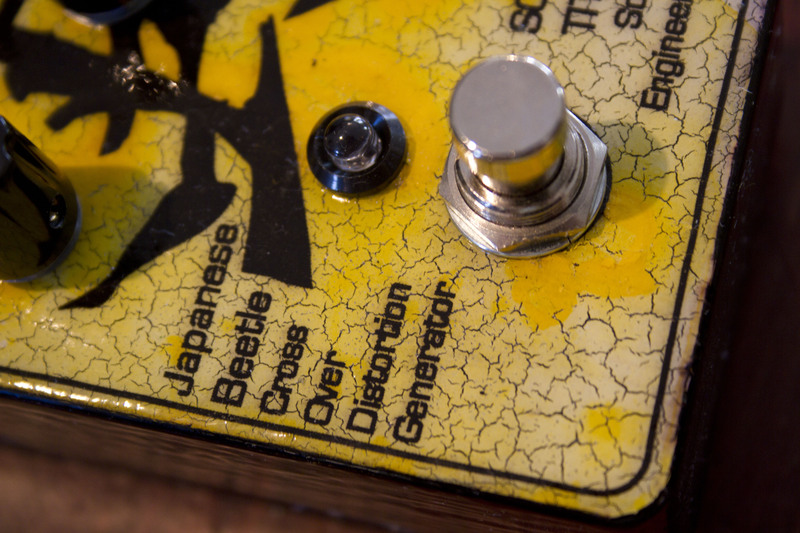 But Crossover distortion is very different to “normal” distortion. Pretty much the sound of a speaker being axe murdered. Again, in the words of Mr Vex- great explanation! 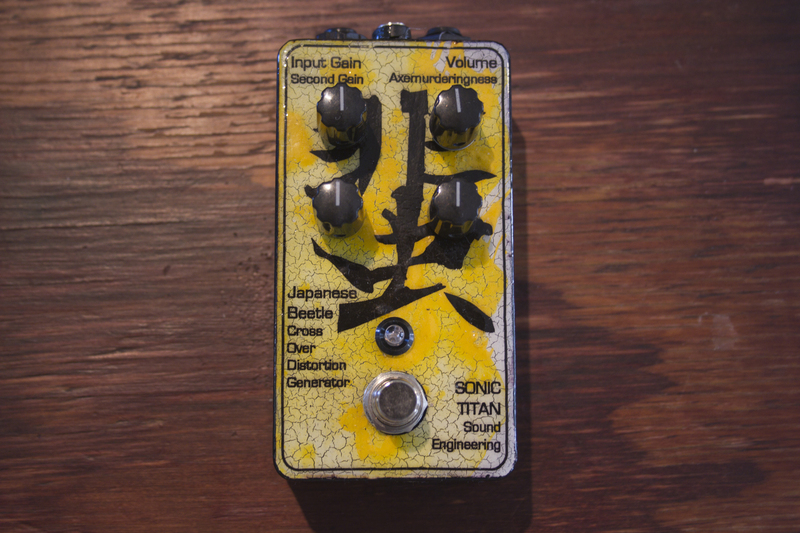 Essentially, it’s value is to use it before a distortion/fuzz. It adds a whole new dimension. Seriously listen to the clips, a solo just sounds a boring without it. 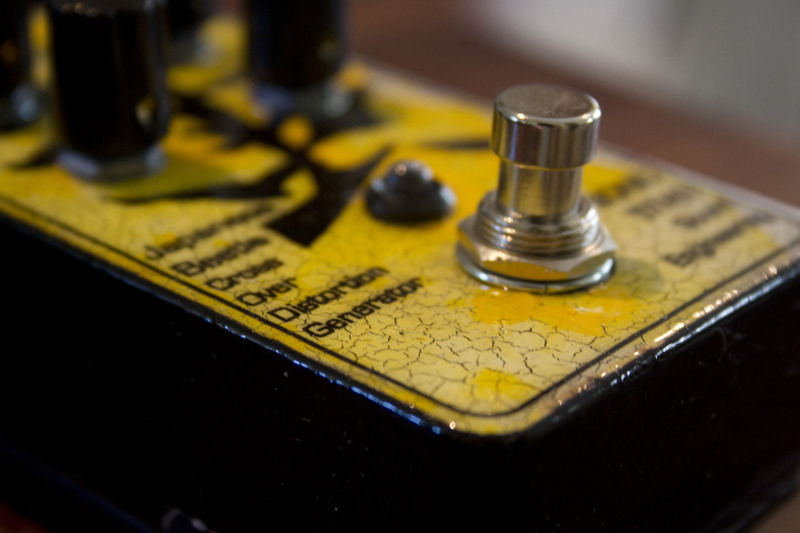 Is the ZVex Machine the first crossover distortion pedal as Mr Vex claims? As I understand it, Tim Escobedo was the first to come up with this “Frequency Tripler” circuit as used in his “Triple Fuzz”. He released the schematic along with his other “Circuit Snippets”- essentially a whole bunch of core audio circuits. Most of the more unusual pedals you see are derivations of these core ideas. But that’s a story for another day. “This is first time ever a pedal has used crossover distortion with an external second gain control and named after a pesky insect”. Seriously though, currently I can’t add anything of value here. Escobedo certainly does to elegant work. Well, I gave it an unusual name and painted it yellow. Value: Priceless! How can one go about purchasing one of these?